The list of blocker issues above is valid. Most relate to entity and field API. Alan is planning to put some solid work into this module over the next couple of weeks, as he needs it for a D7 project of his own. So any helpers in the issue queue should see quick response times! This module is primarily blocked on stable releases of Date and Views. In the meantime, issue queue triage help would be appreciated. If you rely on this module, co-maintainers are very welcome! Did not hear back from these maintainers, but the list of stable release blockers includes several form-related issues. If you have experience with Drupal's form API, you may be able to help! CAPTCHA module is also currently seeking co-maintainers. Should Contemplate give you a render array (instead of the $node object) in which you could create/modify/delete elements letting the rendering to the theme ? Or is it up to you to render each elements via node_view and render in the template, thus generating HTML ? Could Contemplate rely on token or dedicated data structure instead of internal Drupal structure ? Beyond that, Earl doesn't think there are any release blocker issues, and he should be able to get a release out by year's end. Yay! General issue queue triage to weed out duplicate/invalid issues would be of tremendous help. Automated tests for various Date widget/formatter interactions. Spending time here will help greatly to speed up managing other issues. More thorough reviews. Please, when reviewing, don't just test whether it works for your particular situation but also that it works with all types of date fields and widgets. Automated tests should help with this, but in the meantime testing can also be done manually. There are a number of issues around translations that need attention by someone who understands the translation system. 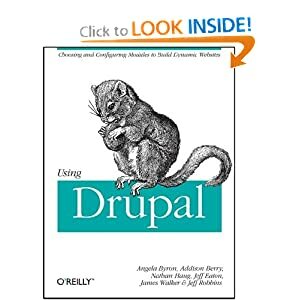 Didn't hear back from this maintainer, but the latest word from Aaron is that he would like to port this module to Drupal 7, although others are focusing their attention on a migration path from emfield to Media module. In any event, http://drupal.org/project/media (now at its second release candidate) may be worth a look if you need this capability for Drupal 7. Didn't hear back from this maintainer on this one, but half of the issues in the blocker issues queue are marked needs review, so testing on those would be extremely helpful. Didn't hear back from this maintainer, presumably because of https://twitter.com/#!/snpower/status/132432976398131200 :) Congratulations! For the most part, major development efforts for Meta tags is now complete, and Dave is now onto code clean-up and stabilization. There's one remaining architectural issue which could use hashing out. Meta tags currently puts its information in the $content array so that it can be cached. However, that only works if themes are using print render($content), which it seems many custom conversions from Drupal 6 are not. If you have thoughts on this, or otherwise have performance / Render API experience, please talk to Dave. He's looking for validation on the approach. A stable release of Panels is blocked on a stable CTools release, so helping with issues in the CTools issue queue will help Panels. The biggest thing Panels needs at the moment is issue queue triage, to try and sort through the issues there, close invalid issues, and of the valid issues, determine whether or not they're Panels bugs or actually CTools bugs. If the issue queue gets cleaned up, that'll greatly help Earl to determine what, if any, of the outlier bugs are blockers once CTools 1.0 comes out. Major development on Redirect module is pretty much done. Woohoo! However, there are still a few issues remaining issues in the blocker queue that need reviews from folks, particularly the Path redirect -> Redirect upgrade path issue. This module's in pretty good shape, with a few, mostly minor to-dos. Reviews and testing would be helpful on patches in the queue. One problem that could use help is the print_node.tpl.php template file isn't getting picked up for some reason, so print_preprocess_print_node. This is probably something easy, so if you're familiar with writing theme hooks and theme suggestions in Drupal 7, João could use some assistance! - Support for nested tokens is a hot-button issue that blocks many contributed modules. - Automated tests for basic token support would help ensure a healthy base from which to fix other issues. Note that a possible alternative to this module in Drupal 7 is http://drupal.org/project/commerce. Daniel "dereine" Wehner is leading maintainership efforts on Views currently. Currently, the best place to help out is in helping out with issues from the two lists of blocking issues above. Those remaining issues largely center on problems with the views override system. If that sounds terrifying to you but you still want to help, the Views Bug Squad is always looking for hands. Members of the Views Bug Squad are Drupal contributors who have committed to spending a few hours a week doing basic triage the Views issue queue. Find out more at http://drupal.org/node/940718! Rewrite fields.action.inc is the primary blocker for this module. Bojan is about 50% done, and hopes to post it for review within the next few days. Then, the best thing the community can do is provide feedback, so that we can figure out the best way it should look and work. Bojan has some availability in November, so now's the time if you'd like to help drive this module home! 1) An active co-maintianer; Dave is currently single-handedly maintaining about 5 of the top 60 modules, and this is one he wouldn't mind having off his plate. 2) Lots and lots of issue queue triage. Because this module is so popular, there are tons of duplicate/invalid issues and Dave could really use some help weeding them down, to help get a clear sense of what's there in terms of release-blockers. Whew! Hopefully you found something in that list that either you or someone you know can help crank on. If not, there's always the full list of all D7 stable release blockers for your hacking and triaging pleasure! 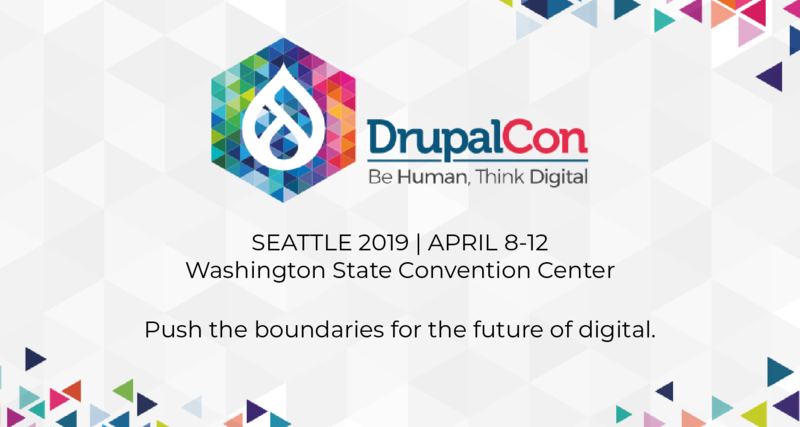 If you're headed to a DrupalCamp over the next few weeks, consider holding a sprint to hack on these important issues. According to http://drupalcontribstatus.com , 41 of 60 top contributed modules are stable now for Drupal 7. If we add the 40 core modules, that's 81 of 100 top modules, or 81%. The link that you have included here to all the issues tagged as D7 stable release blockers (contrib) is really important, and would be surely useful in the Contributor Links section of the drupal.org dashboard.